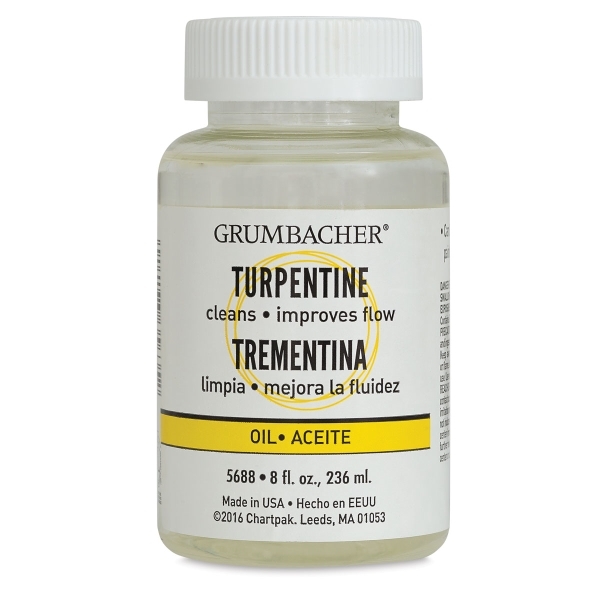 Grumbacher Turpentine is a traditional solvent used for thinning oil colors and varnishes. It improves flow, dissolves wet color easily, and evaporates rapidly. Grumbacher Turpentine can be added directly to paints or mediums for thinning. When using as a brush cleaner, soak brushes thoroughly to remove color completely.